Was the Faithful Centurion Gay? Church Used As A Toilet in Occupied Famagusta! We Too Are Anxious As The Prophet Elijah! 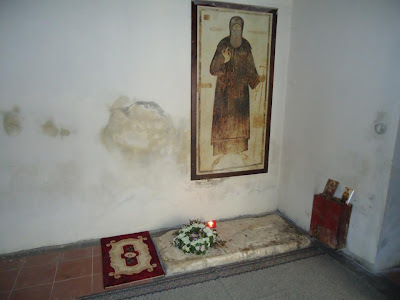 In the Albanian village of Kolikontasi of Great Mouzakia in Northern Epirus, in the historical Church of the Entrance of the Theotokos, lies the tomb of St. Kosmas Aitolos, the Equal to the Apostles. Today the Monastery surrounding the church goes by the name of St. Kosmas. The Monastery of Saint Kosmas Aitolos was built between August 1813 and June 1814 by Ali Pasha of Tepelena when he acquired the Pashalik of Berat. When Ali Pasha entered Berat he remembered Fr. 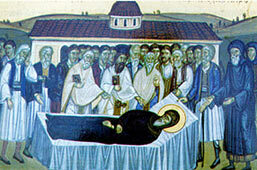 Kosmas, who was martyred there, and invited Metropolitan Ioasaph II of Berat to build a Monastery in the Saint's name and transfer his relics there, because he considered him to be a true man of God. 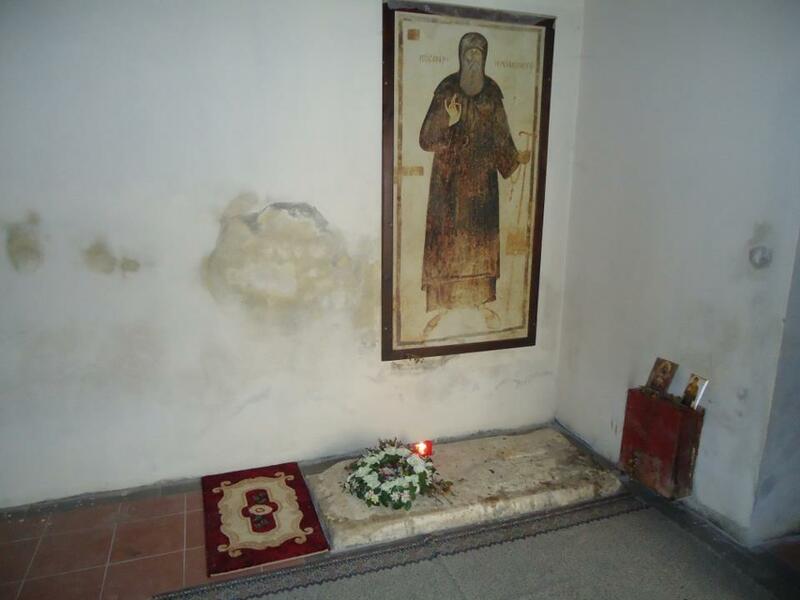 The relics of St. Kosmas rest in the Archdiocese in Tirana for security reasons. They rest in a simple wooden coffin. The skull was stolen in 1917 by Austria-Hungarians and likely rest today in a museum in Vienna. The lower jaw is in the Monastery of Saint Nicholas in Andros. His right hand rests in the Church of Saint Kosmas in Konitsi. Also, portions of relics of his fingers and toes rest in many places, such as Ioannina, the Monastery of Dousikou, and other places. Portions of his relics were also given by Archbishop Anastasios of Albania to the Church of Greece, which rest in the Metropolitan Cathedral of Athens. Another portion is in the Monastery of Saint Kosmas in Aitoloakarnania. In 1984 Professors Panagiotis Christopoulos and P.B. Paschou visited the area by special permission of the Albanian regime, and brought publicity to the shrine. "When in 1968 the law of the Albanian state prohibited any religious event, there came an order from Tirana to destroy the churches and for the crosses to disappear from the Christian graves. The Fieri police commander took with him a competent crew and went to the Monastery to destroy it. Knowing the devotion of the Greeks to St. Kosmas, he instructed to begin the work by demolishing first the tomb of the Saint. When workers gave the first blow to the church monument, then a loud roar broke the stillness of the area and a strong fire sprang from the grave of the Saint. Terrified bystanders fled and did not return despite threats coming from Tirana and despite the reassuring statement of the commander that supposedly a forgotten World War 2 bomb exploded. Therefore they did not desecrate the tomb of St. Kosmas and the grace-filled relics remained there as a balm on the wounds of Christians and the hope that the 'the desirable will come'" (Archimandrite Timothy Iliaki, The Supplication Canon to Saint Kosmas the Aetolian, New Philadelphia 1997, p. 61).